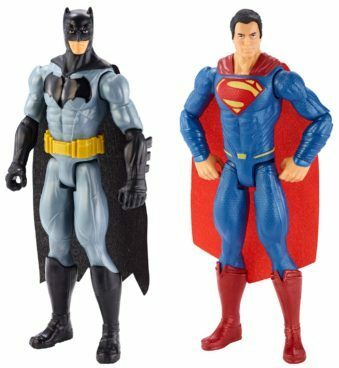 Dawn of Justice Batman & Superman Figure 2 Pk Just $15.99 (Was $20)! You are here: Home / Great Deals / Amazon Deals / Dawn of Justice Batman & Superman Figure 2 Pk Just $15.99 (Was $20)! Score this great deal on Dawn of Justice Batman & Superman Figure 2 Pk Just $15.99 (Was $20)!